May 17, 2018 Francesco Panzieri is no stranger to big hits, both in television and film. Panzieri's name has been included in the credits for Spider-Man: Homecoming, Star Wars: The Force Awakens, Mad Men, True Detective, Westworld, and many others. Still, the New York Film Academy 3D Animation alum's most recent work on Marvel's Avengers: Infinity War may be the biggest film he has worked on to date. The superhero blockbuster raked in $630 million during its first weekend, which is the biggest opening of all time. It is also critically acclaimed, boasting an impressive 84 percent rating on review aggregator Rotten Tomatoes. The digital effects compositor has said numerous times how his time at NYFA helped prepare him for his career, and his experience on Infinity War was no different. On Spider-Man: Homecoming, the first Marvel film Panzieri worked on, he worked in-house, focusing on 2D live-action visual effects. 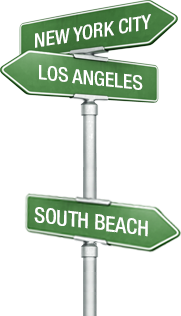 He explained, "As such, my work scope was compositing actors from green screen onto photographed backgrounds, monitor insert, wire removal, plate re-timing, repositioning, scale-up and split-screen." For the more recent films Thor: Ragnarok and Avengers: Infinity War, Panzieri said, "The visual effects company Digital Domain handled intricate compositing of CG characters onto live-action plates." He further explained, "I came aboard late in the game on Thor, yet I was still lucky to get some cool looking shots, including the composite of a blue-screen take of Chris Hemsworth over a fully-CG environment in the Sakaar chase sequence, where Thor smashes the engine of a spaceship barehanded." Unsurprisingly, stakes were even higher for Avengers: Infinity War. 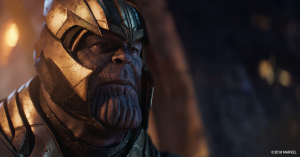 "Almost every one of our shots in the sequence featured Thanos versus an Avenger; I was very lucky to get him in each of my five shots and by getting to work on one of the trailer shots released to the public two months before the movie came out." Francesco was responsible for working with some of the film’s most notable characters: "Captain America and Thor were the other two characters in my shots, so I also focused on locking down their hands onto Thanos' gauntlet and head, to make sure that the audience would really perceive that rock solid hold as the Avengers attempt to save half the universe." The high quality Digital Domain was intent on achieving created challenges, but also a polished and impressive final product. Panzieri points out, "The photo-realism that Digital Domain was trying to achieve on this feature definitely pushed the CG characters to be the most-challenging part. The team really cared about giving them a perfect fitting in the scene under every point of view. 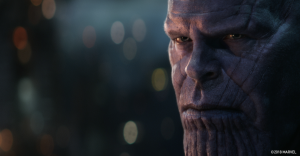 Ultimately, during every session of dailies, the supervisors kept asking, ‘How can we make the shot look spectacular?’ or 'What is this shot missing from looking memorable?’ All of the Thanos work you see in the movie, with the exception of the sequence on Titan, belongs to the tireless work of the artists at Digital Domain." One reason the Marvel universe has been able to captivate audiences for so long is its dedication to consistency, even across franchises. As Panzieri puts it, "They really care about keeping the continuity with their previous movies, as the Marvel cinematic universe is a big shared playground." As far as preparation for such a daunting job, Panzieri says, "NYFA trained me to work very hard and for long hours." He expounded upon that, explaining, "I was able to grasp a solid knowledge of 2D and 3D during my time there, thanks to a very organic and inclusive approach to the art of filmmaking and storytelling. I was able to develop technical and artistic skills that could help me find a job once I graduated, and I had a fantastic time during my studies."